San Francisco (Obama.net)- The federal budget in the United States covers a wide spectrum of departments. From Education to Health Care, the United States government provides the country and its citizens with numerous services. And the biggest department covered in the budget is the military. While the military is one of the most important departments in the United States and is vital to the safety of the American people, the cost of it cannot be ignored. For years, people have complained that the military budget is simply too high and now Congress and the Obama Administration are working to address those concerns. 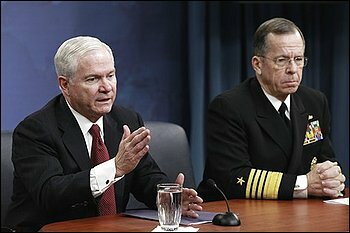 In response, Robert Gates, the Defense Secretary, has come up with a plan that would see both the Army and the Marines cut their number of troops. The total plan would cut the military budget by $78 billion. However, the plan would not go into effect for another four years. The hope is for American soldiers to be completely withdrawn from Iraq and at least be deep in the withdrawal process from Afghanistan. It was less than five years ago that the number of troops in the Middle East was increased in order to fight both wars. However, now it is becoming clear that the high amount of troops is no longer as necessary and that the cost is becoming much greater than the need. The hope behind the plan is for the withdrawal from Iraq and the beginning of the withdrawal from Afghanistan to occur by the troop decrease so that there is no shortage of troops in the Middle East in 2015. If the conflict in Afghanistan does not settle down by then, the need for the troops will not decrease as it is currently expected to. The decreasing of the number of troops will only save the government $6 billion. The rest of the savings will come from a salary freeze for soldiers, who are not serving overseas, the elimination of a battle vehicle used by the Marines, and a revisiting of the F-35 fighter project, in addition to other program changes that would save even more money. With the necessary costs for the military increasing every year, especially since the year 2000, and the need to come up with new technologies and new weaponry as fast as possible, the reduction of troops and cutting of unnecessary aspects of the military is highly important in order to make sure that the budget does not continue to spiral out of control.